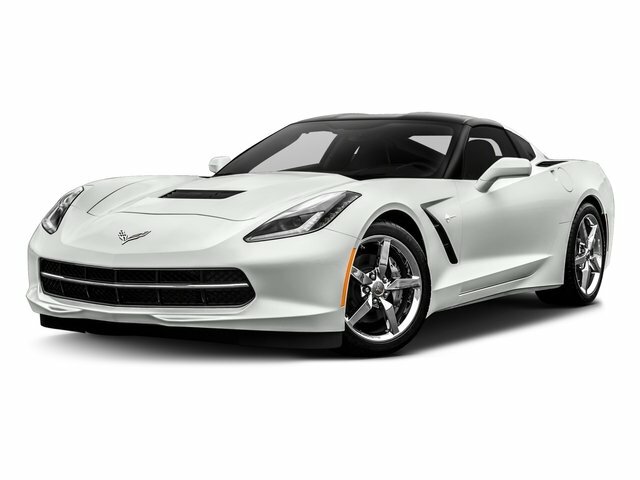 Description Check out this 2017 Chevrolet Corvette 1LT. Its Automatic transmission and Gas V8 6.2L/376 engine will keep you going. This Chevrolet Corvette features the following options: WHEELS, BLACK MACHINED ALUMINUM, 18" X 8.5" (45.7 CM X 21.6 CM) FRONT AND 19" X 10" (48.3 CM X 25.4 CM) REAR, TRANSMISSION, 8-SPEED PADDLE SHIFT WITH AUTOMATIC MODES, TIRES, P245/40ZR18 FRONT AND P285/35ZR19 REAR, PERFORMANCE, SUMMER-ONLY, RUN FLAT (STD) (Do not use summer only tires in winter conditions, as it would adversely affect vehicle safety, performance and durability. Use only GM-approved tire and wheel combinations. Unapproved combinations may change the vehicle's performance characteristics. For important tire and wheel information, see your dealer for a copy of the vehicle's owner's manual. ), SEATS, GT BUCKET (STD), REMOTE VEHICLE STARTER SYSTEM, REAR AXLE, 2.41 RATIO, LIMITED-SLIP, PERFORMANCE DATA AND VIDEO RECORDER, LICENSE PLATE BRACKET, FRONT, JET BLACK, PERFORATED MULAN LEATHER SEATING SURFACES, and ENGINE, 6.2L (376 CI) V8 DI (455 hp [339.3 kW] @ 6000 rpm, 460 lb-ft of torque [621.0 N-m] @ 4600 rpm) (STD). See it for yourself at Prince Toyota, 2013 U.S. Highway 82 West, Tifton, GA 31793.